This is a 3 part series which will contain: what are condo fees, understanding condo fees and why condos are right for you! 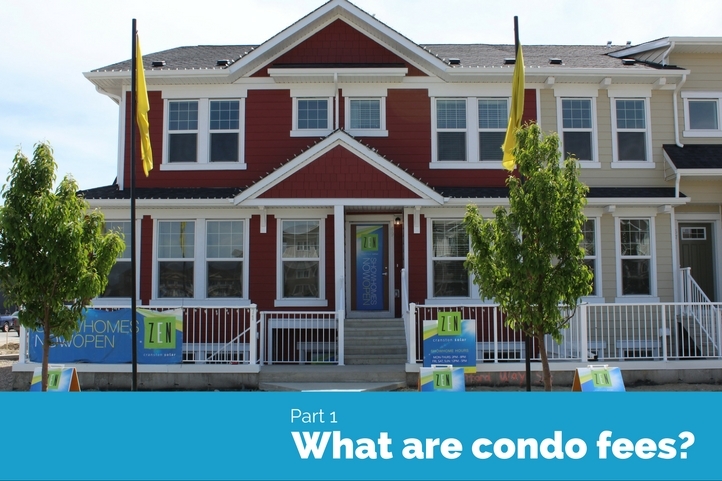 The best explanation of how this is achieved is to provide an introductory lesson as to what a ‘condominium is’, and to explain how and for what purpose condominiums are formed. Additionally, we can illustrate some of the differences between different types of multi-family home construction and how those differences impact the type of condominium associations that are formed, and ultimately, how that determines what the costs are to own a home in a condominium association. It’s basically a form of group ownership where all homeowners in a particular building or community, own their personal home individually, but who share ‘common’ areas that are owned and maintained, collectively by the entire group of homeowners. This property maintenance is funded by fees collected from each homeowner in the association (typically monthly), and it is administered by a Condominium Board of Directors, who generally work in conjunction with a professional property management company. The amount and type of common property are the primary determinants in what the monthly ‘condo fees’ will cost each member. The term multi-family construction refers to any residential building where two or more homes are physically connected, and actually covers a fairly wide array of different building styles. This range includes duplexes, townhomes, small walk up apartment complexes and large concrete & glass apartment complexes with elevators, underground parking, etc. As you can imagine, the common property that each of these types of buildings would contain varies dramatically. With duplexes and townhomes, which is what Avalon Homes specializes in, the common property is typically limited to the exterior of the homes, and includes features like roofing, exterior cladding (siding, stucco, stone, etc), yards, fencing, decks, sidewalks, streetlights, landscaping, garbage & recycling facilities and roadways. For larger multi-story developments such as apartment complexes, in addition to the exterior spaces & features listed for townhomes, the common property also extends to many interior spaces and amenities, such as elevators, shared hallways, shared laundry facilities, shared entertainment facilities, and quite often, mechanical delivery systems for heating, cooling, ventilation & plumbing, etc. The main responsibilities of the condo association in a typical townhome community with primarily exterior common property would be the care and maintenance of landscaping, roads & sidewalks (lawn mowing, snow removal, etc) along with the maintenance and when eventually needed, replacement of fences, siding, roofing and windows. For the apartment style condos, in addition to the exterior care & maintenance, any interior common spaces and equipment would be cared for and maintained by the association. This includes regularly schedule mechanical equipment maintenance and replacement. Often this means that the cost of certain utilities are actually paid by the association instead of the individual home owners. For all types of condo communities, the condo association is also in charge of amendments to and enforcement of the condominium’s bylaws, which are the officially written set of regulations, rules and architectural controls adopted by the association. These typically set limits as to what homeowners can and cannot do with regards to the exterior of their homes & yards, and the stringency of these guidelines can vary substantially from one community to another. Posted in Condo Fees, Home Ownership, ZEN Cranston, ZEN Ravenswood in Airdrie | Tagged in Tags: Condo Fees | No Comment.